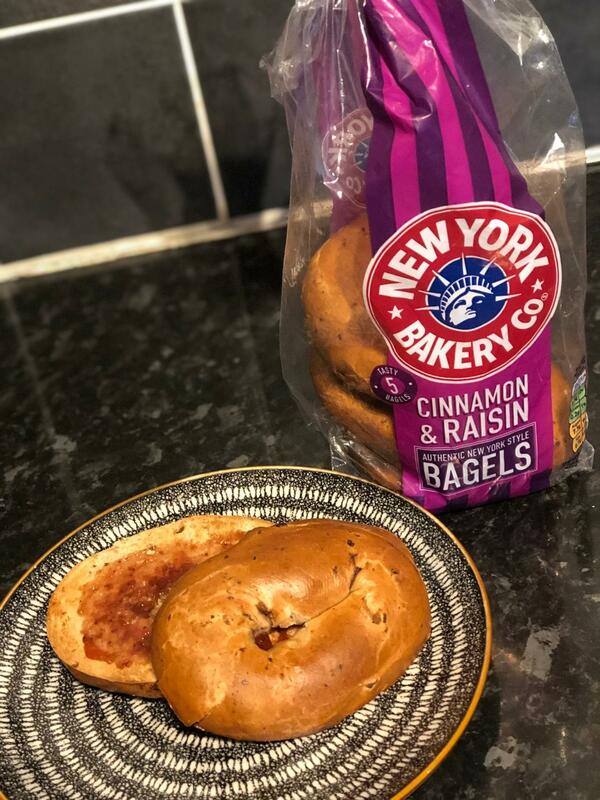 Todays choice was a Cheeky cinnamon & raisin bagel with 15g of strawberry jam. This flavour is a favourite of mine & is bang on! .